We’re thrilled to have Mehmet Orgut at this year’s SuperBot. 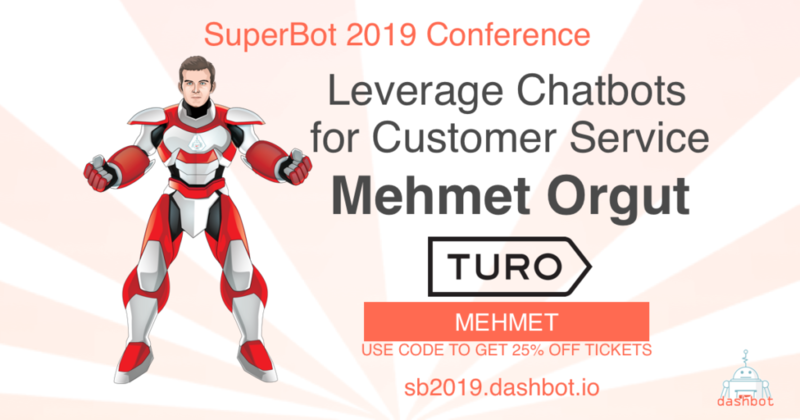 Mehmet works with AI to support Turo’s customer service efforts and he’ll sharing his experiences this April. Mehmet Orgut is currently working at Turo in BizOps team and in charge of finding new technologies and designing new solutions to improve customer experience. He holds an MBA degree from UC Berkeley and worked for McKinsey and Company as a consultant before that. At McKinsey, he designed end-to-end immersive experiences and products in more than 10 countries for insurance, telecom, and internet clients. Mehmet is an industrial engineer and deeply appreciates data-driven engineering mentality. He is a true foodie and loves traveling and trying new things.